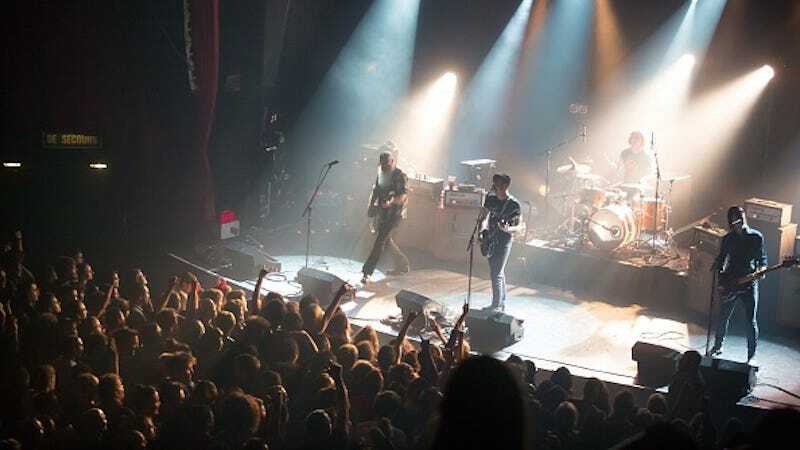 Although it has not been a month since the massacre that brought their concert at the Bataclan theater to a bloody, terrifying halt, members of the rock band Eagles of Death Metal have already returned to the Paris stage. According to the Associated Press, the California band “made a surprise return...during a concert by U2” on Monday, December 7. U2 had been scheduled to perform the remaining two of four shows in Paris “when France announced a state of emergency following the [November 13] attacks that killed 130 people.” They are now concluding that set of shows. On the night of the attacks, the Eagles of Death Metal band members barely escaped with their lives, but they emphasized that they “wanted to play again in Paris.” And tonight, together with U2, they did.